One of my favourite cooperative games remains Plaid Hat’s post-apocalyptic zombie fest that is Dead of Winter. Although I first played and reviewed it some time ago, I still love bringing it to the table, whether playing with 2 or 5 players and with or without the expansions as it has so much about it: a strong theme, well written story, good art and well-chosen mechanics. 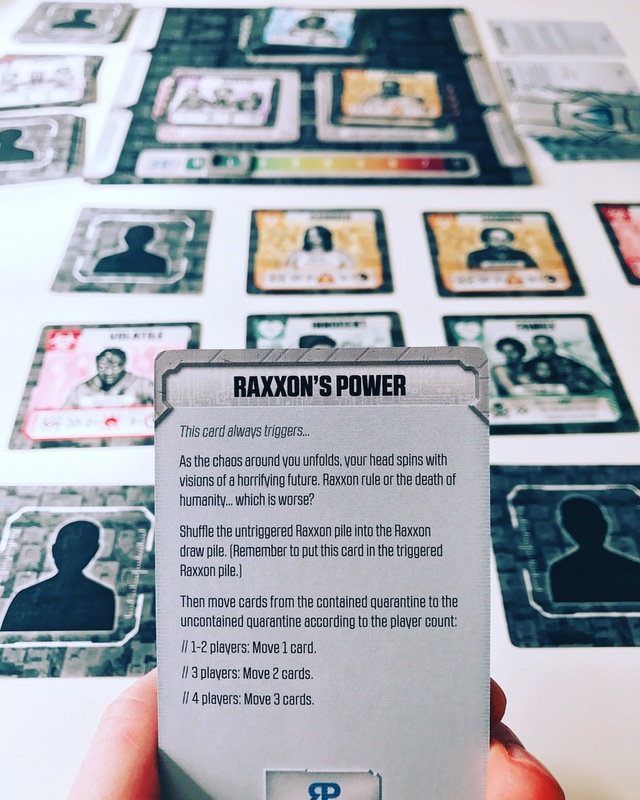 The latest game in the ‘Dead of Winter universe’, Raxxon, is a prequel that helps explain how the outbreak came about and puts responsibility on you to contain the spread of the virus by saving the healthy members of the population. Let’s find out if Raxxon can infect us and spread, or if it must be contained and eradicated. 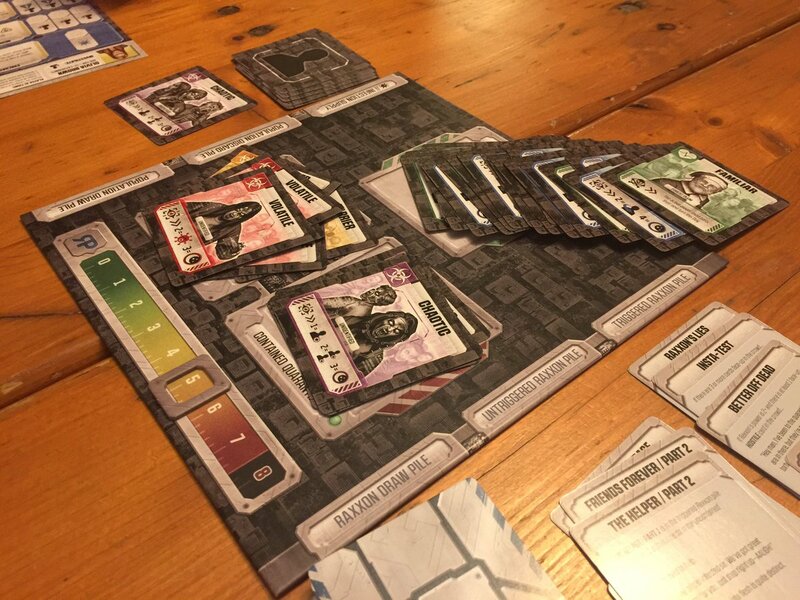 Unlike Dead of Winter’s semi co-op feel, Raxxon is 100% cooperative with 1-4 players winning as a team or all losing. The box states a game will take 45-60 minutes, although my experience has been that it will take a little longer, sometimes up to 90 minutes. 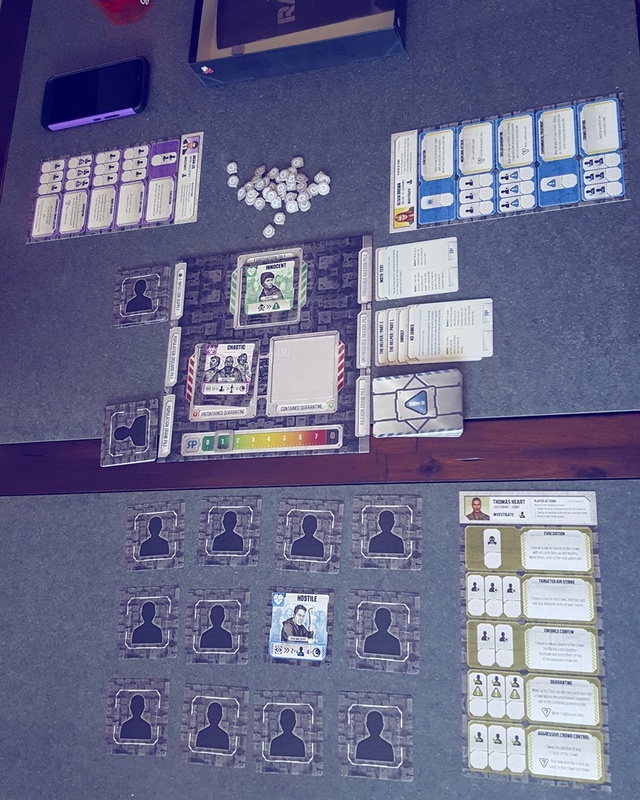 Each player will take charge of a city leader who, using some generic abilities and a few individual abilities, will take turns searching through the crowd in an attempt to evacuate the healthy citizens whilst killing or quarantining the infected ones. The twist being that when a player activates these abilities, it triggers consequences that can have huge effects on the game by increasing the crowd size, adding more zombies or forcing you to end the day (round) which, if done at the wrong time, can sometimes lose you the game. Before taking you through the game, let’s first look at what’s in the box. Raxxon isn’t the biggest game, and its components certainly reflect this. The board is relatively small with a lot of the cards being placed around it rather than on it. The art on the board is bland and industrial looking but serves the purpose of what it needs to do, a theme of this game’s components in general. There are 2 types of cards in the game, the second of which are then split into several categories. The first type of card is the Raxxon card which will be very familiar to Dead of Winter fans since it relates to the Crossroad cards. When triggered, these cards will have a piece of story text printed out at the top, usually referring to a character from one of the games. The card will usually give players two options from which they must choose one. Most of the cards’ options will be unhelpful to players, such as forcing them to add more cards to the crowd, removing infected from the quarantine area or increasing the Raxxon power track. Even on the rarest of occasions when a Raxxon card helps players, it can come back to bite them later in the game when a relating card is drawn and consequences of choosing the easy option earlier now punishes players. The second type of card is the population card that is initially broken down into healthy and infected members of the population. The healthy cards are then further broken down into sub-categories, such as innocent, family and hostile, whilst the infected are categorised as chaotic, carrier and volatile. The different categories simply relate to various triggers throughout the game and also relate to certain options on the Raxxon cards. The cards themselves are set out well, with the iconography being easy to understand and the sub-categories being individualised through colours, but the artwork is quite generic and in black & white. My initial impression of them was that they looked like prototypes rather than finished components. The 12-page rulebook, on the other hand, is exactly what it should be. The game is by no means rule heavy or difficult to learn, and the rulebook does a good job of getting its point over. There are plenty of diagrams with supplementary text, and the rulebook also has a very handy icon and summary cheat sheet on the back page. The only rule that I or the other people who played this game found difficult to understand was where to place cards when adding them from the population draw pile to the crowd. The rulebook has a very specific example, but there were several times (most in fact) that this didn’t fit and we needed to guess where the next card would be placed. This really bogged the game down, added unnecessary time and affected our tactics when deciding what actions to take next. The character sheets are again bland at best, being separated by colour and a small character icon in the top left corner. The design and layout of the sheets, however, are very good, easy to understand and make using them very simple. 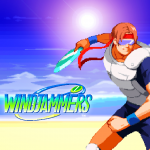 The game comes with 6 characters, and whilst the majority of their actions are the same (or very similar), they do have their own special abilities that help with the lack of theme. Setup of the game is very quick and should take no longer than 5 minutes. 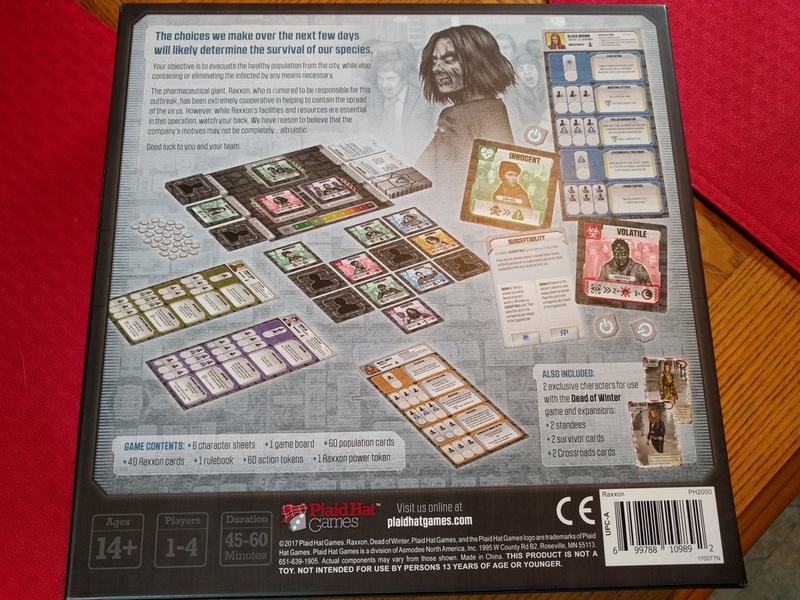 Depending on the difficulty level, of which there are 4, players will shuffle a set number of infected population cards in with the healthy population cards to create a population draw pile, and the remaining cards are used as the infection draw pile. From the population draw pile, players will create a facedown grid, either 3×3 or up to 4×4 depending on the number of players. 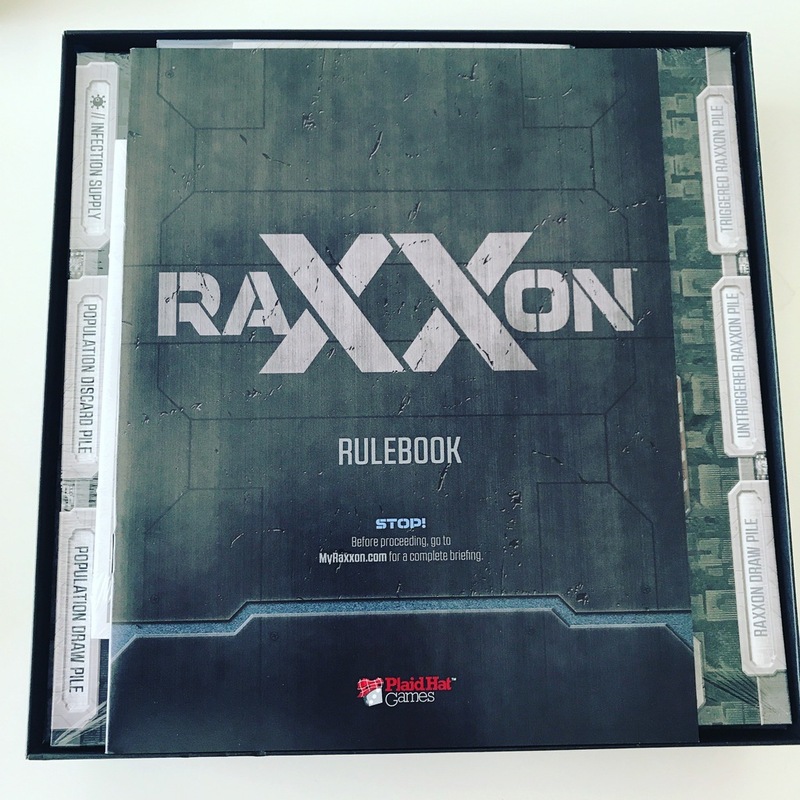 The Raxxon cards are shuffled and placed face down, the Raxxon marker is placed at zero on the Raxxon track and players choose their character sheet. That’s it! The objective of the game is to find all healthy citizens before either the infection draw pile runs out or the Raxxon power track reaches level 8, meaning Raxxon will fully take over the outbreak. The game is played over an unset number of rounds known as days; at the end of each day, it’s more than likely that several more infected will be added to the population draw pile, making your task more difficult. Players can now begin to take actions; initially, they will want to investigate, which simply means turning cards over from the crowd to reveal either healthy or infected cards. Investigating is also the only ‘free’ action in the game, meaning it won’t automatically trigger consequences that other actions will. The caveat to this is that every population card also has an effect and trigger. For example, reveal 1 Chaotic infected card and players must add a card to the crowd. If a second Chaotic card is revealed, then 2 cards will be added. Reveal a third and the day is immediately ended. Each type of card has different effects, but in general, if you reveal too many of the same card, then bad things happen. The main body of player actions will require an action token to be placed on the character sheet before the action can be taken. What this means is that for each subsequent action, there will be consequences to carry out first, the number of which will increase as the day plays out. Consequences could be to add cards to the crown, reveal cards from the crowd or drawing Raxxon cards that will also hurt players’ chances of winning by either adding more infected cards or increasing the Raxxon power level, but I digress. Back to player actions: These could be to quarantine infected cards, meaning they will be out of the draw pile for 2 rounds, or kill infected, which is a good short term solution, but with them being zombies, they will simply stand back up and be added to the draw pile at the end of the day. Players can also swap the positions of cards in the crowd, which brings me onto another player action: evacuation. Usually, players must get healthy cards in a row or column in order to evacuate them, which is ultimately the aim of the game, although some characters have slightly different abilities that change this rule. Players will alternate turns throughout the day until either they decide to end the day or the game makes them. 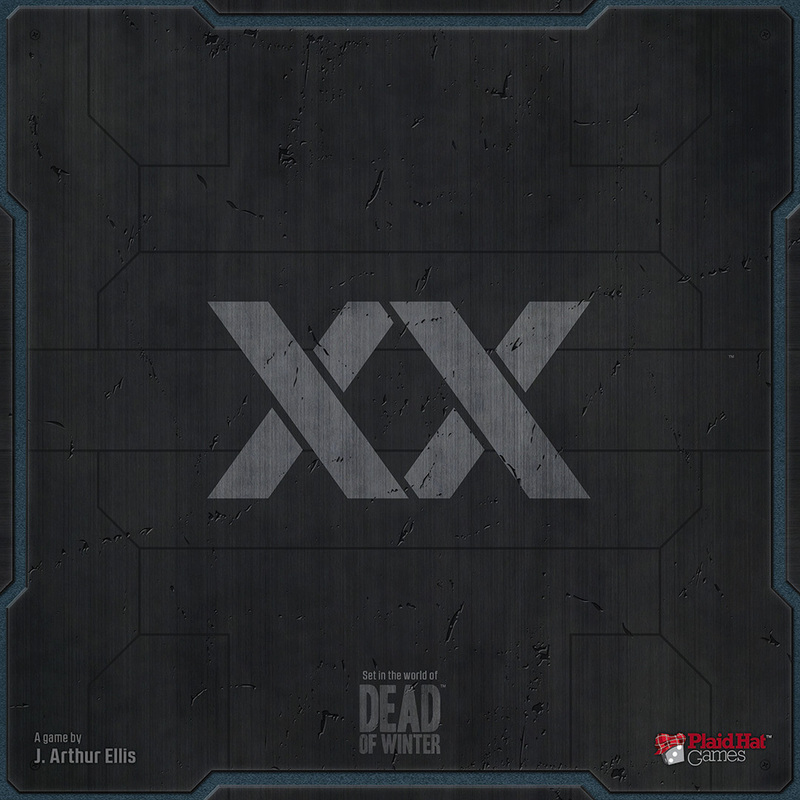 If players are able to continue into the next day, then any new zombies are placed into the newly shuffled population draw pile and a new crowd is created, all action tokens are cleared from character sheets and play carries on. This continues until all healthy cards are evacuated or, more than likely, players lose. That was the basic gameplay of Raxxon. Before I go into my summary, I want to offer a few observations. Firstly, aesthetically and thematically the game is pretty bland and very much abstracted from a theme that is usually forced down our throats in a very colourful and overt manner. The Raxxon cards do offer a thin layer of theme through their short stories, but these are far too shallow and generic. Raxxon is certainly not going to grab you with its looks and charisma. The area where Raxxon well and truly comes alive is through its mechanisms which are absolutely perfect for setting the ‘we can’t stop them’, ‘there’s too many of them’ feeling. Players have a limited number of options when taking their turn, and in some cases that may feel restrictive, but Raxxon keeps things simple: turn over cards, kill the infected and save the healthy. The game purposely becomes restrictive as the day progresses through the placing of the action tokens which are a major pain in the preverbal. It leads to a lot of discussion between players as to how to proceed. 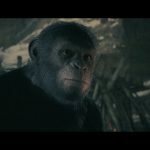 Do we take more actions but face the consequences of possibly innumerable infected joining the crowd, or do we end the day knowing how many will join the population draw pile but clear all those action tokens from our sheets? It’s the same with the Raxxon cards, most of them will hand players yet another obstacle to overcome, and a lot of the time they will raise the Raxxon power track which will soon be close to level 8 if left unchecked. Raxxon is not an easy game to beat with more ways of losing than winning. After the first 2 days, players might be thinking, ‘We’ve got this,’ as they evacuate several healthy citizens. In doing so, however, you are thinning the draw pile of them, making them more difficult to find and rescue. Add to this the fact that the infected just keep growing in number and will soon become a horde. We did manage to beat Raxxon, but it was literally the last set of actions before the day ended, and we would have lost if there was another round to go.